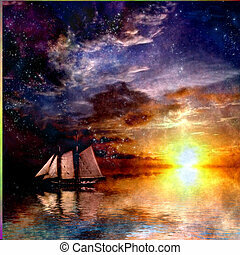 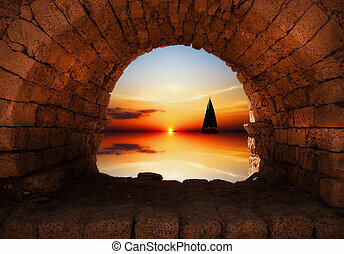 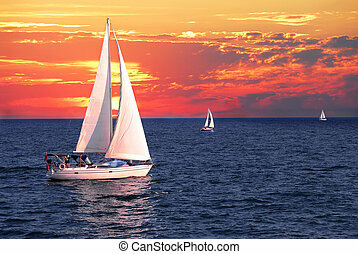 Sailing and sunset. 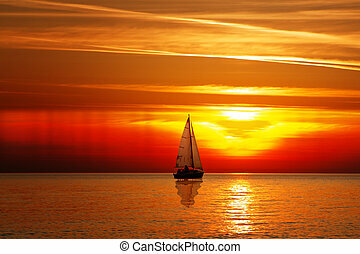 Sailing with a beautiful sunset. 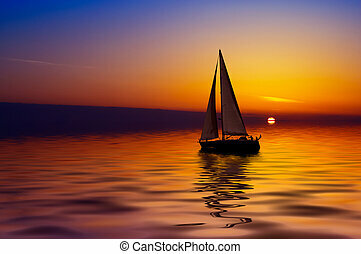 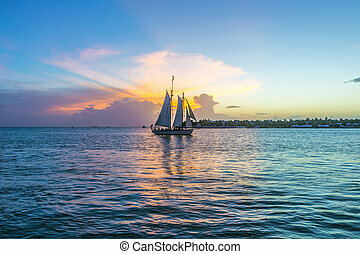 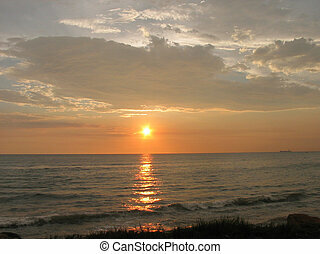 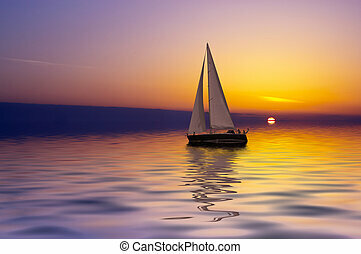 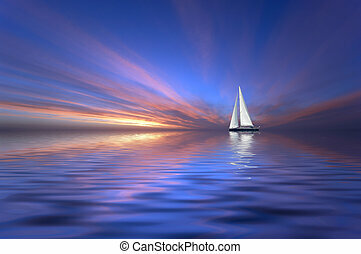 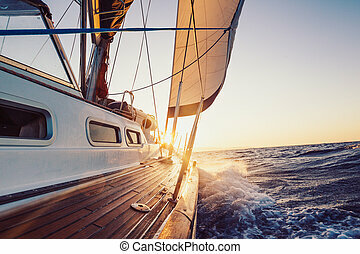 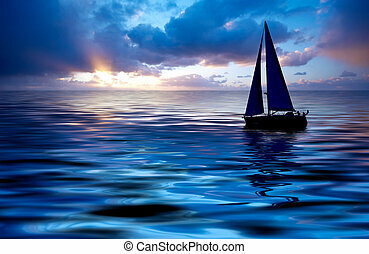 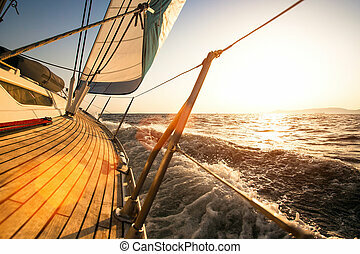 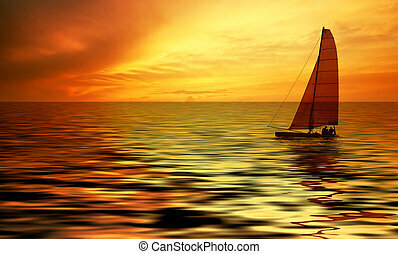 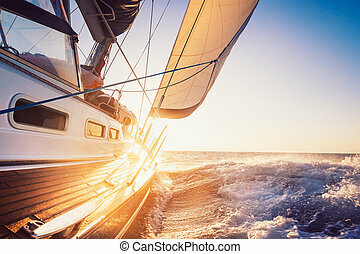 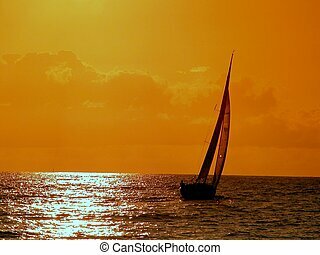 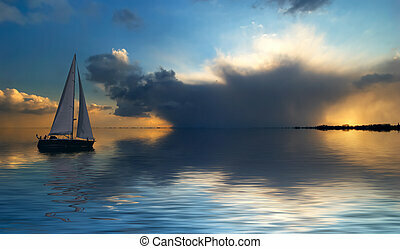 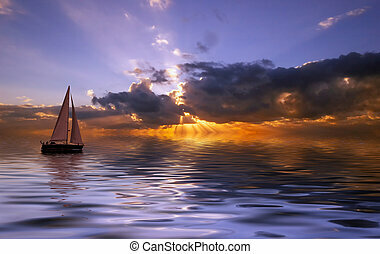 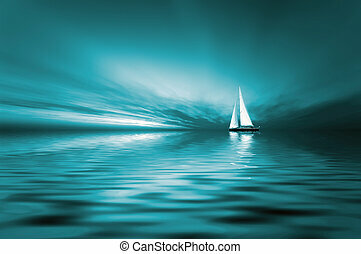 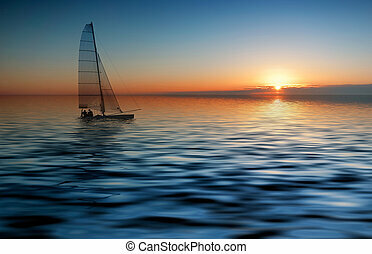 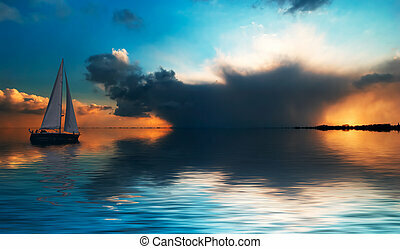 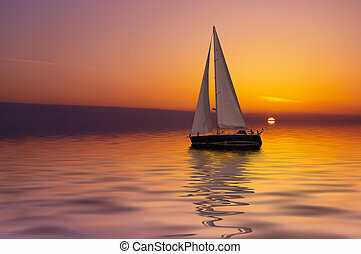 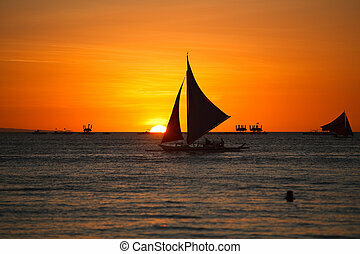 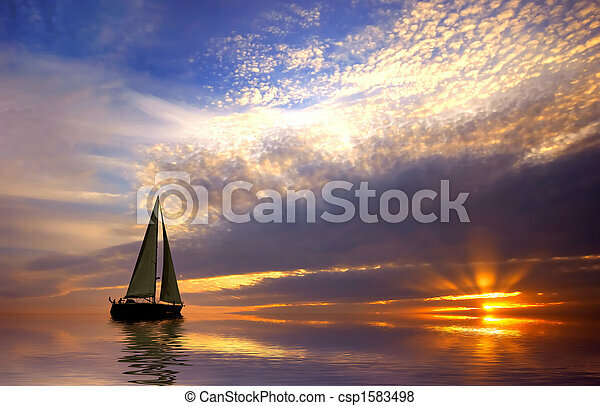 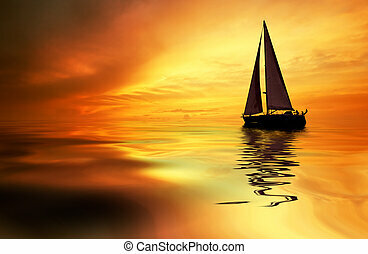 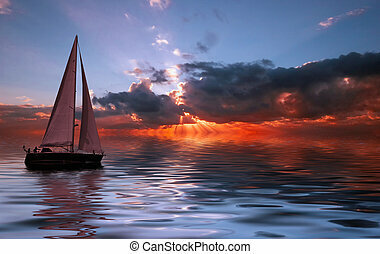 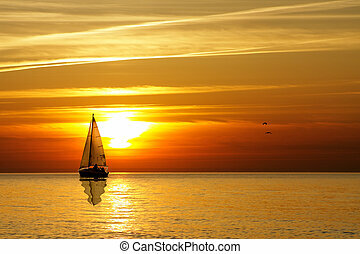 Yacht sailing towards the sunset. 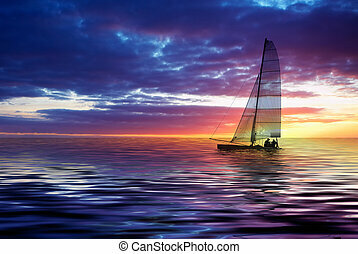 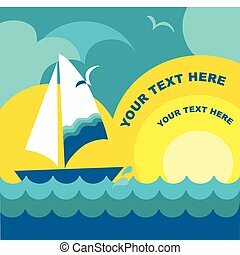 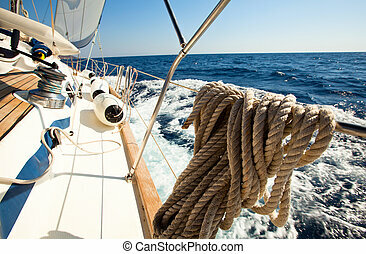 Sailing. 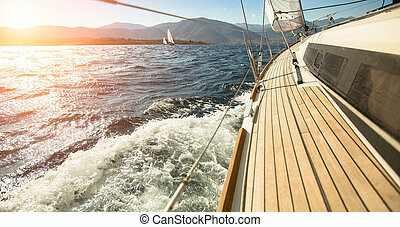 Luxury yachts.